Upcoming Events | Let's Collaborate! 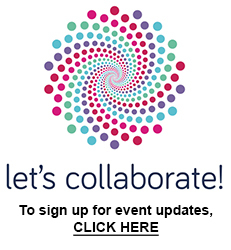 To receive updates to the next event, sign up to the Let’s Collaborate! mailing list here.